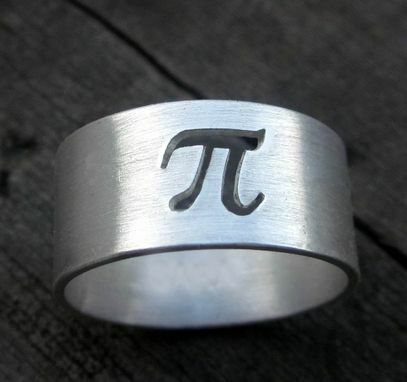 Pi. 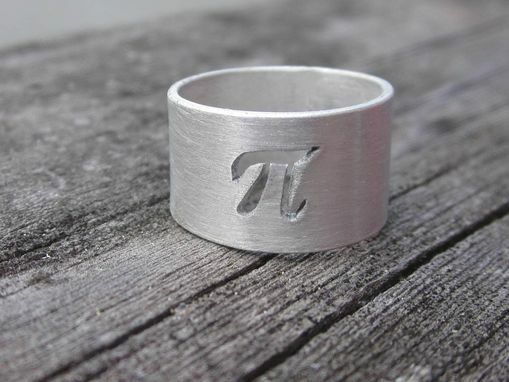 It's not just a mathematical symbol anymore. 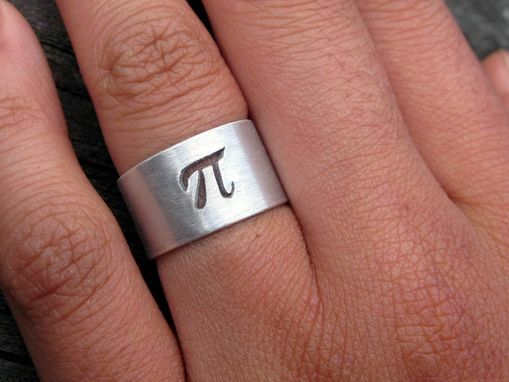 In the case of this gorgeous and geek-themed ring, it's also an engaging graphic accent. Available in most sizes, this hand-forged, cut, and polished ring has a band that's 3/8 of an inch in width. You can order this ring in brushed matte as seen in the sample, or in polished silver. 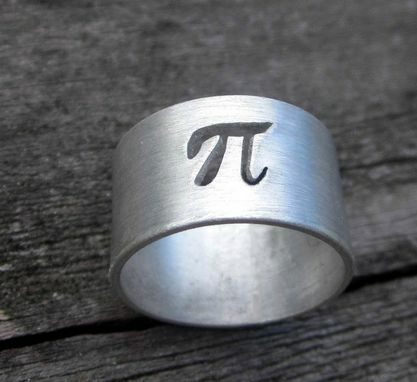 Custom engraving on either the inner or outer part of the ring is also available.